Several academics have filed a U.S. lawsuit against Turkish historian Taner Akçam, who is known for his research on the Armenian issue, alleging that the scholar put them at risk of an Armenian nationalist attack following a speech last month. “I merely shared a piece of information, which I had picked up [earlier,] during a speech I was delivering on the current state of affairs in Armenian genocide studies. I did not name any names and explicitly stated I did not want to leave anyone under suspicion,” Associate Professor Akçam from Clark University’s Department of History recently told the Hürriyet Daily News by email. Akçam gave a speech at a conference at Arizona’s Glendale Public Library on June 14 during which a number of academics claim the historian singled them out as targets for extreme Armenian nationalists. A Turkish political science expert from Utah University, Professor Hakan Yavuz, will be leading the suit on behalf of Professor Guenter Lewy from Massachusetts University, Associate Professor Edward Erickson from Virginia Marine Corps Command and Staff College and Associate Professor Jeremy Salt, who is currently working at Turkey’s Bilkent University. During the speech, Akçam said he shared information given to him in December 2010 by a person who asked to remain anonymous that alleged that the Turkish Foreign Ministry was handing out hefty sums to academics to convince them to produce arguments to counter Armenian genocide claims stemming from World War I. “I merely shared a piece of information; I wanted to provide a sample of how politics interferes in the academic sphere. Frankly, I have yet to understand [on what charges] they will be suing [me,]” Akçam said. “My source said the documents received [by certain academics] in return for the money paid by the Turkish Foreign Ministry are [located] in the archives. I repeat once more; it is a journalist’s task to research this matter. I only transmitted the information. A journalist who was present at the conference made news out of [this] subject,” Akçam said. Yavuz did not respond to questions posted by the Daily News via email. Taner Akçam said he thought the information passed on to him by his source was safe, a factor which persuaded him to share it with his audience. “Hakan Yavuz is a person with dubious credibility. I have yet to understand why he took [my words] upon himself. What he has said is so lowly as to not even warrant a reply,” he said. “The Armenian genocide is an extremely political field; politics is directly interfering with academic work. Armenian genocide studies have to cope with two distinct problems: One is about questions and problems [raised by] academic research itself, while the other [concerns] problems that emerge due to direct intervention by politics. The Turkish Foreign Ministry’s intervention is among the samples I have cited for this second category,” he said, adding that all he did was to repeat an ordinary fact that was already known to everyone else. “One needs to rethink about things if the information supplied to me by my source is correct,” he said. “I say it is necessary to re-examine because the activities undertaken in the U.S. by the Turkish Foreign Ministry must seriously be re-examined,” he added. It is good that conflicts are solved in courts instead of violence, threats etc. Ha! and this guy calls himself an academic?An academic 'shares' with the public anonymous information received from a 'trusted source' . . .
A number of Turkish and U.S. intellectuals intend to sue Taner Akcam, a Turkish lawyer who openly acknowledges the Armenian Genocide. In his interview with the Turkey-based Vatan daily, Dr. Hakan Yavuz of the University of Utah said that he is one of the intellectuals Akcam charged with being bribed by the Turkish authorities. They get their salaries from the university, but they know about Akcam's sponsors, Yavuz said. Akcam has made them a target for Dashnaks and Hnchakyans, and their life is in danger now, Yavuz said. So the intellectuals decided to go to law. 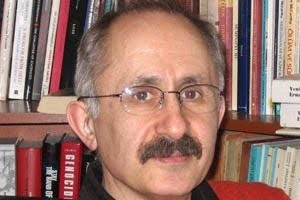 Dr. Akcam, holder of the Kaloosdian/Mugar Chair in Armenian Genocide Studies at Clark University in Worcester, Mass., stated that "the Turkish government is following a very systematic and aggressive policy in the US," by attempting to cast doubt on the veracity of the Armenian Genocide. Ankara’s grand scheme is to make Turkish denialist claims as widely acceptable as the belief that the events of 1915 constituted genocide. Moreover, through a series of lawsuits in US courts, Turkey and its proxies are trying to present any criticism of denialist scholars and exclusion of revisionist materials from university programs as suppression of "academic freedom." Prof. Akcam, one of the first Turkish scholars to acknowledge the Armenian Genocide, related to his audience that during his visit to Istanbul last December, he had a private conversation with a person who had "inside information" regarding the Turkish Foreign Ministry’s activities in the United States on subject of the Armenian Genocide. Dr. Akcam’s confidential source told him that sometime in 2004-2005, an American university professor had met with "authorities connected with the Turkish Foreign Ministry." At that meeting, the professor told his Turkish hosts that "Turkey didn’t have a systematic program on the academic level with which to counter the claims of an Armenian Genocide," and that "the genocide claim is well established at this point," telling them that "there’s very little" they can do "by trying to confront it head on." Dr. Akcam was privately informed that the American professor made the following recommendation to Turkish officials: "The thing you need to do is to dig a ditch in front of all the genocide claims; you need to create doubt by writing scholarly works which will awaken that doubt." Dr. Akcam interpreted these words to mean that "by producing and encouraging new academic works," American scholars could "normalize the idea that 1915 was not genocide, just as the belief that it was genocide has become accepted." While it is commonly assumed that the Turkish government provides financial incentives to scholars worldwide to publish articles and books denying the Armenian Genocide, this is the first time that a knowledgeable Turkish insider has confirmed these assumptions. The confidential source told Dr. Akcam that the Turkish Foreign Ministry accepted the American scholar’s proposal and "transferred large sums of money to the US." The informant revealed to Dr. Akcam the names of American academics who received funds to write books denying the Armenian Genocide, and disclosed that "there are documents signed by their own hand and that these receipts are now in the files of the Foreign Ministry’s records." In his lecture, Dr. Akcam stated that he did not want "to put any academic under a cloud of suspicion." However, when he connected the information received from his Istanbul source to some recent publications, "a disturbing picture emerges as far as Armenian Genocide research is concerned." Dr. Akcam then referred to Michael Gunter’s recent book, "Armenian History and the Question of Genocide," as a possible "example of this approach." The website of the book’s publisher, Palgrave Macmillan, stated: "Although as many as 600,000 of them [Armenians] died during World War I, it was neither a premeditated policy perpetrated by the Ottoman Turkish government nor an event unilaterally implemented without cause. Of course, in no way does this excuse the horrible excesses that were committed." Prof. Akcam further observed that the four academics -- Hakan Yavuz of University of Utah, Guenter Lewy of University of Massachusetts, Jeremy Salt of Bilkent University, Ankara, and Edward J. Ericson of Marine Corps Command & Staff College, Virginia -- who praised Gunter’s book, "are well known for their denialist position and works regarding the genocide of 1915." Although Prof. Akcam did not wish to make "an accusation against the book’s writer," he stated: "the strange similarities between what I was told in confidence in Istanbul and what appears on the jacket cover of that book gave me pause, that’s all." What’s the bombshell? The Turkish Government has more or less openly announced that continued funding of Institute for Turkish Studies grants is contingent on the people running it (and presumably receiving the grants) toeing the denialist line. Taner Akcam has been credited as the first Turkish "scholar"
(that word is in quotation marks because real scholars dispassionately consider all sides of a story) to have used the word "genocide" to describe the Armenian events. A leftist revolutionist who advocated violence and who was imprisoned for terrorist activities, Akcam escaped from jail and later reinvented himself as a scholar, focusing on the one-note Armenian "Genocide" as his bread-and-butter. His mentor was Vahakn Dadrian, and the way was mysteriously paved for Akcam to become a perpetual "visiting professor" in the USA. While there are no major disagrements between the master propagandist and his obliging student, Akcam has reportedly disappointed Dadrian in not going far enough with established genocide principles. At times, Akcam has even broken with his master; he rejects the Andonian forgeries, for example, while Dadrian once hugely embarrassed himself in an attempt to legitimize them. Moreover, Akcam does not currently appear to subscribe to the traditional theories as to why the Ottomans should have exterminated the Armenians, principally the theory of pan-Turanism, the idea of Turkifying the ethnic groups of the Empire. (Although earlier in his career, specifically with his "The Genocide of the Armenians and the Silence of the Turks," Akcam was very much part of the genocide choir, gung-ho for all the "pan" words. Akcam makes extensive use of Master Dadrian's dizzying, one-sided research over the many years..
Dadrian does not feel it beneath him to occasionally cite Akcam (as an example, Dadrian threw Akcam a footnoted bone in America and the Armenian Genocide of 1915), but it's becoming apparent the master propagandist feels a good degree of disrespect for his protégé. Dadrian reportedly does not feel Akcam has what it takes to share the stage with Dadrian. (Although it may be argued Dadrian's ego is large enough where his contempt is not reserved strictly for Akcam. Taner Akcam therefore suffers in some genocide circles, regarding his academic credibility. In a battle with the Turkish Historical Society's Prof. Kemal Cicek (analyzed below), Akcam has been characterized as a "village idiot" among some of his peers. Taner Akcam will forever have the stigma of being a stooge for the Armenians, and such status can never bode well for the integrity and recognition he must crave. This Armenian foundation, according to the report, is partly responsible for the payment of Akcam's upkeep at his current headquarters, the University of Minnesota. Now this is different than the Turkish government's providing grants to establish Turkish studies departments in universities, because once the grant is given, educators in these departments can go in any direction they please. However, if Akcam were to begin reporting true history that is critical of the Armenians, it would very likely be the quickest way to kiss this foundation money good-bye. How is Akcam struggling against being perceived as an object of ridicule? He is using the one asset going for him, his "Turkishness." With the knowledge of his homeland's language and customs, and with the help of pro-Armenian bases within Turkey (Armenian and leftist media outlets, along with a network of like-thinkers in the mode of Halil Berktay), Akcam has a better finger on the "genocide developments" in the country which allows him to go on a plane of attack not easily available to his genocide cronies. Having learned well from his Armenian master, Akcam appears to be concentrating on "seek and destroy" missions. He is looking at the historical truths that expose the holes in the "Armenian genocide," and attempts to throw Dadrian-style smokescreens at these truths. He zeroes in on the small errors of the Turkish academicians doing research in this area, knowing full well that these handful of scholars are comparative neophytes to Akcam's firmly established genocide forces. Because he can't deny the forest of truth, Akcam's plan is to set isolated fires in the weedy areas, all in the time honored pro-Armenian practice to detract and confuse. With each attempt, he is further withering the minute traces of credibility some people would still like to accord him... but what else can he do? He has to justify his propagandistic existence somehow. Unfortunately, hardly anyone dissects the writings of these ethically-challenged "genocide scholars," and thus people like Akcam keep getting away with murder (quite literally, in the "Rufmord" meaning of the word)... particularly since the genocide industry runs practically unopposed (who will argue with anyone who speaks against genocide? We all know genocide is "bad"), and the false "Armenian Genocide" has become the accepted wisdom throughout a lazy-thinking and/or bigoted world. On this page, some of Akcam's works will be analyzed, exposing his degree of honesty and scholarship. In early 2007, Taner Akcam got personal, charging the Turkish government and its fascist citizens of conducting a campaign against him, wrongly portraying him as a "terrorist" and as a "propagandistic tool of the Armenian.
" Do his claims have merit? A Major Whopper of the "Shameful Liar"
There are some historical facts that are just so totally obvious by now, they should not be challenged by even the most diehard propagandists. But some are so "shameful," they go on challenging them anyway. A recent article exposes Taner Akcam with a major whopper.
""""" 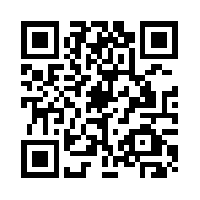 31.450 emails to ""LIAR-MENIAN GENOCIDE ""museum in a week."""" """"" """"" """"" """"" ""
Last news from LiAr-menian Genocide Museum after my open letter to honorable armenians to ask ''if they have a single document in Yerevan Museum of empty hate"". Received 2.345 emails asking if they have any original documents about the So-Called lie Genocide. Received more than 3.500emails in last week but answered only 1.234 and said '''NO I am sorry but we do not have any original documents"""
Received 5.607 email from Liar-menians abroad and sent no messages as responce.secretery of the Minister resigned. Arevik Avetisyan took his vacation for 30days.But his mailbox is full with more than 20.000email asking ""why did they fake a nation ""for 96years. I will let you informed about the total emails they received again next week. I am not quite sure why this is a "bombshell." but he still goes on to suggest possible examples of corrupted work. It is interesting that he cites as "possible" examples Lewy and Ericson who are actually among the most moderate and well reasoned academics involved in this field. Akcam is deceitful and more than a little disingenuous given that he is funded by an institution directly charged with the promotion/ study of the Armenian Genocide holding, as he does, the Kaloosdian/ Muger Chair in Armenian Studies at an academic institution in the US. It means that, if I were to be a little ungenerous, I might suspect Akcam of being somewhat biased in his view point. The fact that he is devious seems to clear from the article from the California Courier anyway.